UPDATE: Xtux was turned away from the convention because the building was too full. Sorry everypony! Equestria Gaming's very own XTUX345 (in other words, me) will be attending the Calgary Comic Con on Saturday. So if you're attending the convention, see you there! Also, brief post is brief. Despite the impression you may have gotten from my previous review I do believe in the concept of "beauty in simplicity". However, some simple things are, to put it mildly, not beautiful at all. Quality, not simplicity, is paramount to a beautiful game, but what about when a game combines the two of them? Well then you get something extraordinary, although not many simple games make it that far. But what about Derpy Hooves Sweet Dream? Does it manage to be beautiful in its simplicity, or will it turn out to be yet another boring "catch the falling objects" game? Find out after the break. Allright, so here we have another video demonstration of Welcome to Ponyville, this one mainly centring around romance, since apparently that is what you guys were most interested in (really now?). While that doesn't interest me in the slightest, the update also showcases some of the team's vocal talent for the game, which I did not care for that much. Hopefully there will be some option to turn it off in the final game, although even if there isn't I'll still tolerate it. Still, this is shaping up to be a most interesting game, and the idea of the game's artwork being supplied by the community is one that I find quite appealing. My Little Investigations Trailer + Demo Release Date! Well, it looks like the Equestrian Dreamers team has released another My Little Investigations gameplay trailer, along with the information that the demo of their game is coming out on May 5th. Mark down your calendars folks, you'll definitely want to try this out! 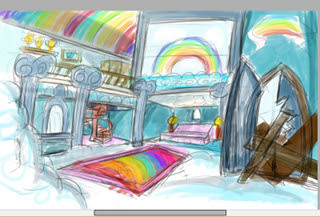 Lately we have been making many changes to Equestria Gaming. Most of them were behind the scenes such as performance optimizations and while those were quite useful we always had it in the back of our minds to make visible improvements to our site. So as you've probably noticed, we've currently themed our site around Queen Chrysalis to celebrate the season finale and the reveal of a new villain, along with an entire race of emotion-eating monsters. This theme will probably not be permanent and is not yet complete, we would appreciate it if you leave some feedback in the comments. Background and title vector by Gig Mendecil. A short while ago the Pony Emblem team decided to make a survey on the fandom's opinion on a few aspects of their game. Partaking in this short survey will help them decide how to develop some very important features of the game, and would be a huge help to them. Due to circumstances beyond our control we have been forced to create a new Youtube channel. Our old one was only accessible to Strawberry Spice (who is now inactive), but the new channel is accessible to the entire team, which means that you should be seeing more videos from us such as playthroughs, trailers, and maybe even a video review or two! So in case you were wondering, here is the link to our new channel: http://www.youtube.com/user/EquestriaGamingVideo. Are you good at tilemapping and want to be a part of an indie dev team? 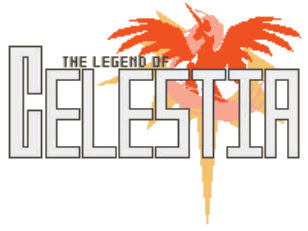 Well the Legends of Celestia team are wanting a tilemapper to help them with their RPG, and if you're interested in applying for the job then you can email them at 00lucan00@gmail.com and supply them with your Steam username, what you want them to refer to you as, and a sample of your work. Good luck with your application! So John, you may be asking, why are you posting an animation tool on this website? No, we have not suddenly become a generic indie gaming blog, but this is something we thought that our indie developer readers might find interesting. You see, there is this amazing animation tool under development (public beta version available) called Spriter, and if you're not using/can't afford Flash and have a limited budget this tool might just fit the bill, and from the looks of it at least one of the developers is a Brony! The tool is highly optimized and has plugins under development for various engines, so you can make your game look as good as possible while using far less memory then traditional methods of video game animation. Now, if you go to their Kickstarter page that I above they give a far better explanation of how it works then I ever could, and you can support their project by backing it, although they already have a lot of donations. You can also visit the developer's website at http://www.brashmonkey.com/index.htm, in case you're interested in their own video game project that they're working on. At the moment Spriter is Windows-only, although they plan on adding Mac (and eventually Linux) support sometime past the release of 1.0. Update: the event is now over, and it seems that they got most of their work done. Thanks for watching everypony! The Legends of Equestria 24 Hour Livestream Challenge is now LIVE! In this amazing event you will get to see the creators strive to recreate the entire Everfree Forest in 24 hours. Do you think they will succeed? Personally, I think they shall fail, but if you want to be optimistic you can go and cheer them on. Hope you enjoy the stream! Apparently the fellows who run The Round Stable have recently interviewed Manestream Games, the developers of Cutie Mark Crusade: A Dash of Adventure. The interview is rather short and thankfully doesn't spoil much, but it does reveal some of the developer's inspirations, their intentions for the game and various other random stuff. In case you're interested you can read it at http://www.mlponies.com/2012/04/11/interview-manestream-games/. Most fandoms have a rather localized following within a few countries. For example, Doctor Who has a large fandom in Britain, USA and Australia, yet it is not as well known outside those few countries, which is often a surprise to fans within those countries. However, My Little Pony: Friendship is Magic is an exception, having a large international following, and one of the largest being the Dutch Bronies (for their country size, which is tiny). And it is from that far away land that the game Future Twilight comes, and it is intended to win a Dutch game maker competition with its turret-shooting gameplay. Does the fact that it's foreign automatically make Future Twilight awesome? Find out after the break. The MLPOnline team has finally released a new trailer of their 2D MMO, and trust me, it's stunning. 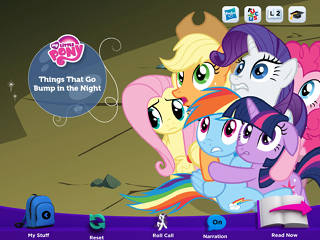 They showcase their WIP pony creator, NPC functionality, the highly improved battle system, and 3D maps. The game still appears to be fairly buggy in its current state, and some interface elements are unfinished, but those should be fixed fairly soon. Frankly I'm even more excited for this game then Legends of Equestria, and if you haven't taken a good look at MLPOnline yet then now is a very good time to do so. Also, our friends over at Derpyhooves News have provided a write-up on this game, and to save me the trouble of making one myself I'll just link to it here: http://www.derpyhoovesnews.com/mlponline-development-snapshot-41012/. Legends of Equestria 24 Hour Livestream Challenge! The team behind Legends of Equestria (and the original Equestria Online before the team split) recently sent out an announcement for their "24 Hour Livestream Challenge". They intend on creating the entire Everfree Forest area for the game during that event, which includes "buildings, plants, NPCs, creatures, and the map layout." This must-see event will start at 2PM EST on April 14, and will end at the same time on the 15th, all which will be shown live at http://www.livestream.com/legendsofequestria. For more information about Legends of Equestria please see their website at http://www.legendsofequestria.com/ or their Facebook page at www.facebook.com/legendsofequestria. Hope to see you there! 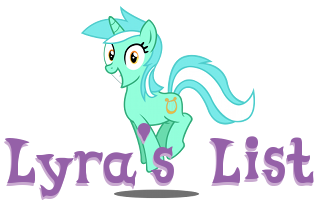 Mark Sprague has proved me wrong once again with the third release in the excellent Pony Platforming Project series, and unlike the last two games this one stars Colgate, a time-manipulating unicorn who wants to change her destiny and become a dentist instead. Thankfully Mark has decided to continue this series despite his involvement with Mane 6, and he has stated that he specifically addressed many of my complaints in this new instalment of the Pony Platforming Project. To be honest, it's really nice when developers listen to feedback from critics and address their problems; many are too stuck-up to admit that they did anything wrong and refuse to change anything. 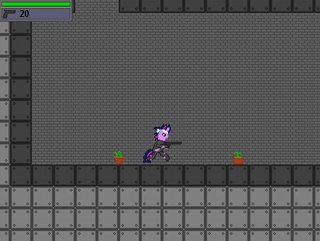 So what do I think of the third Pony Platforming Project? Has Mark Sprague managed to create yet another fantastic fangame, or has my overall praise gotten to his head? Find out after the break! The 24 hour spring break marathon is live now, and will be until 12 pm EST tomorrow. Since they're apparently showing an unreleased trailer for MLP:Rise of Vicis at some point during the livestream I would advise watching at some point if you're interested in their project. So get on down there and watch at http://www.livestream.com/gypzsepiclivestream, or just use the embedded player on our website! Some of you may have been wondering exactly what I was doing on April Fools and why I was not participating in the festivities. 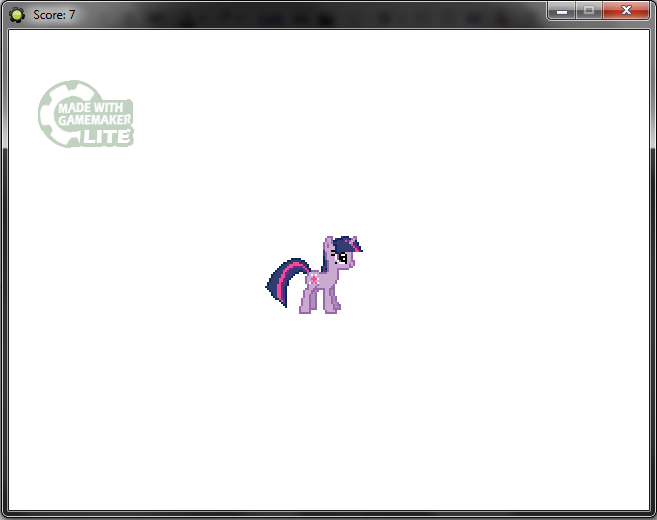 Thankfully Enigma saved the day with "Click the Twilight Sparkle", a stroke of sheer genius. Well, the truth is that I was at church and was not available on that day, but I was still working on something, something that nearly got finished but ended up taking too long to get finished in time. So what was it I was working on? A fake review, similar to Enigma's, but with fake screenshots and without an actual game to go along with it. 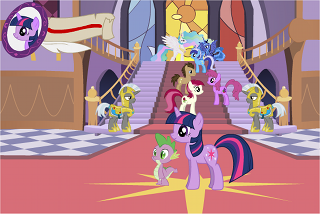 I planned on reviewing an epic MMORPG titled "Of Ponies and Dragons: Rise of the Equestrian Empire", and give it a 2/10 for trivial and pointless reasons. If you want to see more fake screenshots of the game, you can find them after the break. And please, click to enlarge and view them in their full glory (you can also do that with the one above). Equestria Gaming is now one year old. Since I had to do something for a commemoration post (and I had no idea what else to do), have some Flintstones singing. I have something else to post later that might be a tad more interesting then this, but don't count on much. At times, a genre becomes so oversaturated that you wonder exactly why people even bother to make them any more. Sure, there is an occasional breath of fresh air (although that's rare), but most of those games just end up being an endless string of cliches, and are best avoided at all costs. Now, the cloud dodging genre isn't quite that bad, but it's getting there, and along comes a game that actually bears that title as its name (with only a slight adjustment to the last bit). 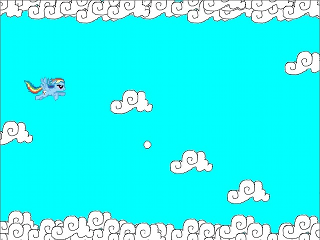 It's not quite as blatant as somepony releasing a game called "WWII First Person Shooter", and to be frank, the cloud dodging genre isn't near as oversaturated as that genre, but there are still a huge amount of fangames starring Rainbow Dash as she flies through the air and dodges pesky clouds. Still don't know what Cloud Dodger is about? Go ahead and read the above paragraph again to get the general idea, and then download the game at http://www.mediafire.com/?f8f37927u79iuav.